AC Energy Chief Finance Officer Cora Dizon (5th from left) receives the awards on behalf of the consortium. The acquisition by the consortium of AC Energy, Group Holdings Pte. Ltd., Star Energy Geothermal Pte. Ltd., and Electricity Generating Public Company Ltd. of the Chevron geothermal facilities in Indonesia received multiple recognitions from four major financial research firms in Southeast Asia. 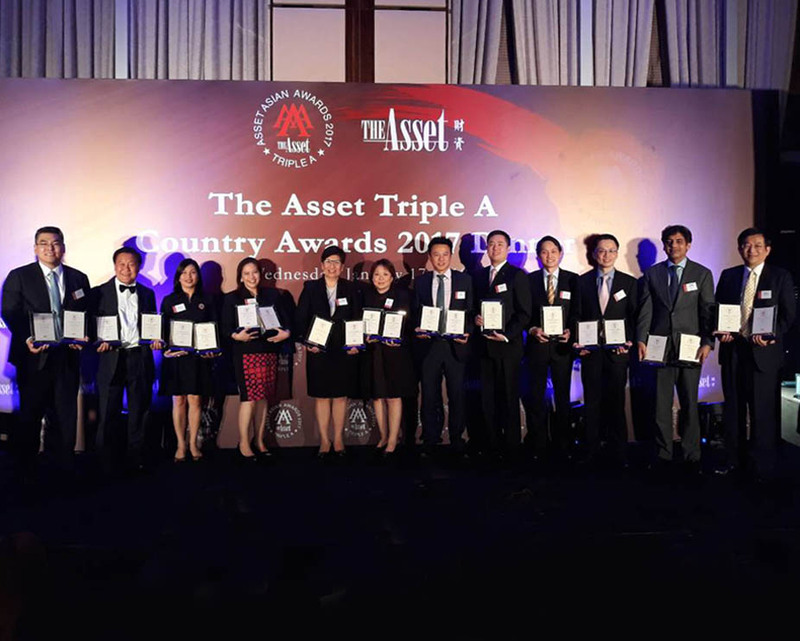 The deal was awarded by The Asset as Best M&A and Best Acquisition Financing in Indonesia during the 11th Annual Best Deal & Solution Awards held in Hong Kong on January 17, 2018. Alpha Southeast Asia named the transaction as Best Deal in Southeast Asia for 2017. It, likewise, won the Best Leveraged Finance Backed M&A Deal award from the same financial research firm. The two awards will be given on February 13, 2018 in Kuala Lumpur, Malaysia. The acquisition was also dubbed as Renewables Deal of the Year for 2017 by the Project Finance International, a member the Thomson Reuters group. The latest in its series of recognitions is the Indonesia Country Award for Best Capital Market Deal given by International Financing Review Asia (IFR Asia) which will be awarded to the consortium on February 27, 2018. In March 2017, the consortium completed the acquisition of Chevron’s geothermal business in West Java through their joint venture company Star Energy Geothermal (Salak-Darajat) B.V., with BPI Capital Corporation and DBS Bank Ltd. as lead coordinators.